Low-cost, high-end machining, fabrication and assembly services. 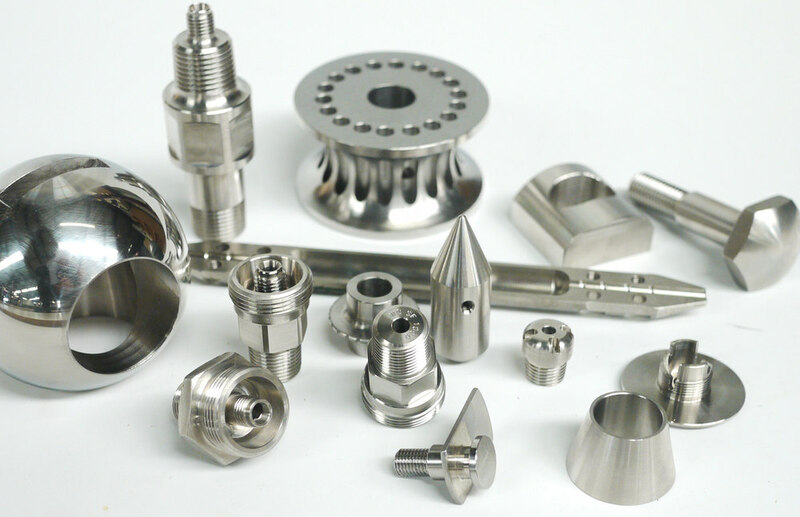 A diverse range of CNC machines and talented staff produce parts ranging from tiny 3mm fittings for medical and aerospace, right through to multi-ton booms and large components for Australia's mining and energy sectors. Things break, we get that - don't let it cost you any more time and money. C&C can manage all but the largest of heavy machining tasks with our biggest CNC machine center taking a maximum weight of 8 tons. We have built a strong reputation on large machinery analysis and repair. We have decades of experience with power station gearboxes, coal conveyor equipment, turbines, industrial pumps, resource infrastructure and earth moving parts. We can provide failure analysis reporting and even full redesign/re-manufacture to extend run-life and reduce future costs. We work with our customers. By involving C&C in your project from conception to finished product, our experience will ensure you get the best results. Let us handle the manufacture and assembly of your products, or get us to help you design a solution that fully considers manufacturing efficiency. C&C started life as an engineering and special welding business (Tasweld) and we have continued to expand on that knowledge in handling complex fabrication tasks. Our ability to incorporate machining into the fabrication process gives us an advantage and allows us to save our customers time and money. We pride ourselves on advanced materials knowledge: We can use and advise on the fabrication and machining of a huge range of steels, titanium, specialized stainless steels, composites, plastics and almost anything in-between. Stainless steels can be challenging to work with, and expensive if you make a mistake. For instance, when we machined oval bushes out of 150kg marine-grade stainless bars, we risked very high material costs to produce high-finish parts for an experimental energy project. On another project we saved Australian taxpayers tens of thousands of dollars in material costs by advising on a better material choice. When designing for manufacturing it is best to involve the people who actually do the manufacturing - this reduces the chance for error and cuts costs by optimizing the manufacturing process in the design phase. Our customers benefit from our close collaboration on materials and designs, leading to increased efficiency and reduced cost. Our customers benefit from efficient, in-house processes that produce cost/benefit far above what many engineering firms can deliver. C&C uses the latest CAD/CAM software to design, draw and manufacture to specifications. We are licensed for Solidworks and Inventor. Our reputation is built on quality and assurance. C&C guarantees all work to a high standard with our proprietary QA systems. We test and certify our work to whatever standards our customers require. Stringent controls and trace-ability minimize the need for rework while communication remains key to ensuring our customer's demands are met, on time. What sets C&C apart is knowledge. Drawing on decades of engineering experience, we can advise on how to reduce manufacturing costs by improving design, material suitability and production time. Many of our loyal customers have come to rely on our honest and constructive feedback which has lead to productive supply chain relationships.